Many AP departments still struggle with manual invoice processing and feel the impact of how inefficient a paper-based process can be. According to Ardent Partner’s research, the average cost to process a fully-loaded invoice is $14.21 which includes costs related to AP staff time, managerial overhead, facilities, and IT support. The average number of invoices per month per full-time employee (FTE) is 2,308 and it takes, on average, 12.4 days to process invoices through the entire invoice cycle. The exception rate is, on average, 13.1%. Seventy percent of inbound invoices are still manually submitted to AP departments. Manual invoices may be in the form of a fax, a pdf attached to an email, or a hard copy in an envelope. And the reasons why an organization would continue with a paper process include size of the supplier and frequency of the supplies. For example, a small to mid-sized enterprise may not have the technology to send electronic invoices or an organization may receive a paper invoice from a vendor with infrequent deliveries such as office supplies. Ardent Partner’s research identified the major challenges that AP Departments face. The first, identified by 44% of respondents, is the delay in receiving matching information which could also mean the lack of the correct data; this results in invoices that cannot be processed right away. Naturally, a delay in matching an invoice to its relevant documents will increase the invoice processing time. Another top challenge, according to 43% of respondents, is invoice and payment approvals taking too long. This is a result of paper-based processes having AP staffers physically moving an invoice through the approval chain. If someone in that chain is out of the office for any reason at all, all invoices stagnate and the overall approval process is delayed. Many enterprises also face a high level of exceptions which also results in invoice approvals taking too long. This usually means that the enterprise has some automation, but the processes need to be refined allowing invoices to be matched to POs or receipts. Finally, paper processes have a distinct lack of visibility. Without visibility, AP staffers are not able to provide the status of an invoice to a supplier who might ask when payment could be expected thus frustrating internal and external stakeholders. Automation offers significant opportunity to directly address the challenges of accounts payable across all of the industry’s verticals. Automating all or part of the AP process can significantly shorten the invoice approval workflows. Imagine no longer needing to physically carry a paper invoice to an approver’s desk or having to email an invoice only to have it languish in an inbox while the approver is away on vacation. Another benefit of this shortened invoice processing time frame is the ability to capture more early payment discounts across the entire spectrum of accounts payable. Early payment discounts can offer significant financial benefits for an organization and capturing more of them means better cash flow. Thirdly, relationships with suppliers can vastly improve as a result of automation. This is primarily due to increased visibility into the invoice process which can provide AP teams withmore accurate information. More accurate information can result in more accurate answers for the inevitable vendor status calls as well as empower AP staffers with greater insight. Greater insight into business operations allow business leaders to see, at a glance, how many invoices are received, how long each takes to process, which suppliers are easiest to work with, and even how much spend is conducted against each contract. Most of the technological capabilities that organizations need to automate their processes are already in wide use. For example, 68% of respondents to Ardent Partner’s research are already using document imaging or scanning solutions, while nearly half use automated routing and approval workflows in addition to automated data capture and extraction tools. Over the next two years even more organizations plan to implement AP automation. 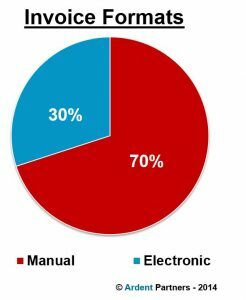 There is going to be a small bump in document imaging (20% of respondents) as the technology is in fairly wide use already. There is going to be more significant increases in automated routing and approvals (36%) as well as automated data capture (29%). What is most intriguing is that this these technologies are not new or cutting edge. This means that enterprises have little reason to fear these systems outside of organizational inertia. So, based on the data, if an organization is not using an AP automation system today, it should be seriously considering one; otherwise it may be putting the organization at a huge disadvantage versus the competition. Best-in-Class have a cost per invoice that is 86% less than all other organizations. This means the top performers are able to process seven invoices for every one invoice processed by all other companies. AP staffers on Best-in-Class teams also process three times more invoices per month than everyone else while also processing those invoices in a 78% shorter time frame. In other words, top performers process four invoices in the time it takes everyone else to process just one while also putting three times more invoices through the process in any given month. And not only are they able to process more invoices in a shorter time frame, the Best-in-Class exception rate is also less than half that of all other AP teams. Overall, the Best-in-Class have differentiated themselves from all others with superior performance across all key invoicing benchmarks. Assuming a 1000 invoice sample, Best-in-Class cost per invoice is $2.42. All other organizations experience an average per invoice cost of $17.61. So, for every 1000 invoices this works out to monthly cost of $2,420 for the Best-in-Class and $17,610 for all others. Best-in-Class pays, on average, about $15,000 less to process 1000 invoices. That kind of savings adds up quickly and over time puts significant amounts of capital back into the business. Best-in-Class organizations drive improved results beginning with invoice processing capabilities. Nearly all top performers (87%) have two or three-way matching capabilities and they standardize their AP processes. The ability to match invoices to two or three other documents, for example a contract and a purchase order (PO) or a contract, PO, and goods receipt note, means that there will be fewer exceptions overall. Standardizing processes allows for top performing AP teams to process multiple invoices in the same way every time. Generally, the more standardization in the invoice approval workflow, the quicker the process moves along. Most top performers also measure key AP metrics. Identifying and measuring metrics is critical to understanding how the organization performs and how to improve performance. Finally, Best-in-Class have the ability to automatically route invoices for approval meaning that their invoices go through processing stages in a more efficient manner than invoices that cannot be automatically routed. This is critical because automated routing is a key differentiator and can make the difference between an invoice languishing on someone’s desk for days or an invoice getting approval quickly and the organization capturing an early payment discount. Adoption of technology is another way top performers differentiate themselves from all others. There are a few technologies that support the Best-in-Class advantage. Nearly all of the top performers (85%) in Ardent’s study used document imaging or scanning. Document imaging and scanning can cut remarkable amounts of paper out of the process and make a notable difference in the AP team’s efficiency. Nearly two-thirds of top performers automate routing and approvals. Automated routing and approval workflows eliminate the possibility of an invoice sitting in an authorized approver’s email inbox waiting to be addressed. The automated workflow means that invoices are approved quickly which also hastens payment and drives operational efficiency. Technology plays a huge role in the ability of the Best-in-Class to outperform their competitors. Without a strong technological implementation, AP teams continue to move paper around manually or they inefficiently switch between incompatible systems. Although, if an organization is in varying stages of deploying AP automation, rolling out in phases may allow better assimilation to the processes without too much disruption. Standardized processes with a strong linkage throughout the procure-to-pay (P2P) process can result in an invoice moving more quickly through the approval workflow as well as increased visibility into enterprise and AP metrics. An increased visibility into enterprise and AP metrics allows leadership to more accurately look for efficiencies in operations and the enterprise’s financial situation. Best-in-Class invest heavily in AP automation technology including document imaging or scanning an automated routing and workflow. Best-in-Class also invest heavily in strong process capabilities such as two and three-way matching and straight-through invoice processing. Collectively, these characteristics drive the Best-in-Class to high levels of performance that allow AP teams to turn from cost centers into profit centers. “If it ain’t broke, don’t fix it” does not apply to invoice workflow. There are significant reasons for a transition to automated accounts payable. First, the invoice approval process becomes much shorter. Invoices are approved in significantly less time; top performers approve invoices in less than 4 days or three times shorter than the industry average. AP teams will no longer need to perform data entry as a core duty and allowing them to become of more strategic value to the organization. AP automation offers significant savings over the long-term through a combination of decreased processing costs and an increased ability to capture more early payment discounts. Making the change to automate accounts payable does not only benefit the AP department. AP Automation touches nearly every piece of internal business operations. The finance and treasury teams gain increased financial data which can simplify their cash management work as well as provide greater insight into payment scheduling. 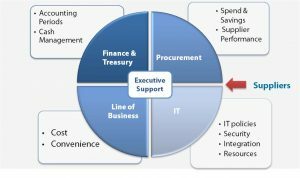 Procurement gains a better work flow into spend data and improved supplier performance information which can improve supplier relationships. The line of business has a more cost-effective AP process which allows for more efficient operations. IT is able to improve financial data security in addition to having tighter integration between systems. Finally, the potential for increased visibility can turn suppliers into better partners. When transforming an AP operation, it is important for all relevant stakeholders to be included. 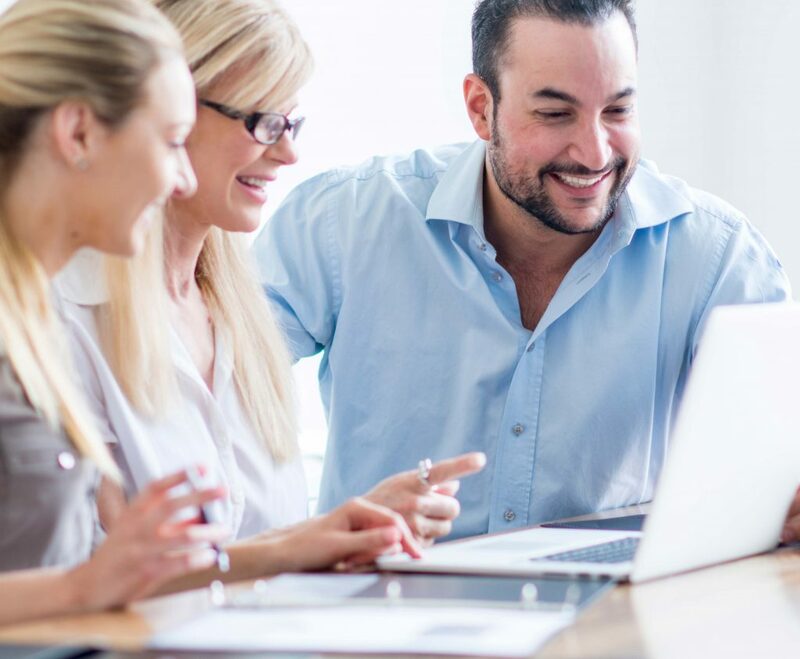 AP teams need to understand all the business and technical requirements as well as determine their long-term objectives and align all the necessary resources. It is critical to involve more people than just the AP team. For example, there is a need to understand the project’s budget constraints and therefore important to involve the finance team. Also, find an appropriate vendor for the project. Working with vendors with the experience and resources to work closely with your team to craft the best solution to meet your needs and then implement that solution is critical. Once the information on how to get started is established, it is critical to make the business case for AP automation with upper management. Present the information that AP automation can drive better performance as well as cost savings across the business. Making the case also requires collaboration with all affected stakeholders of the automation process. Following the lead of the Best-in-Class processing capabilities and examine scan-and-capture and document management solutions as a first step toward full automation. Finally, identify and track key indicators across the business. Take a base-line measure before any transformation project begins. While going through the transformation project, monitor how these metrics change. Doing this will ensure that AP automation has succeeded like it should.